Matthew Shaker founded Altrix Medical LLC in 2013 and is the driving force behind its offerings. Mr. Shaker was the first to envision the design of a miniature AED smartphone case. By integrating existing technologies, such as those used in implantable defibrillators, and novel ideas, like collapsible AED pads, Altrix Medical will be able to generate the same life-saving waveforms as major AEDs on the market today. As President of Altrix Medical, Mr. Shaker is focused on the singular goal of leveraging innovative technologies and imaginative ideas to prevent and cure disease. 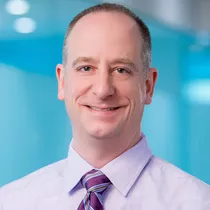 Mr. Shaker has worked in product development and project management for more than 20 years, with most of that time spent developing and overseeing the operation of health care information systems. He consulted as a Technical Manager for numerous Federal Agencies. This work included development and oversight of web-based scientific applications for the National Institute of Allergy and Infectious Diseases and operational oversight of critical FDA boarder control systems. Mr. Shaker also served as the Senior Project Manager for the first version of the National Cancer Institute’s (NCI) Cancer Genome Atlas System which catalogs genetic mutations responsible for cancer and is integral in breakthrough medical research. Prior to consulting for the federal government, Mr. Shaker spent a number of years in the oversight and development of real-time medical and laboratory systems. This included work to develop on-line laboratory immunoassay systems. Mr. Shaker also served as a driving force behind the creation of homeland defense laboratory analyzers to detect biological warfare agents. 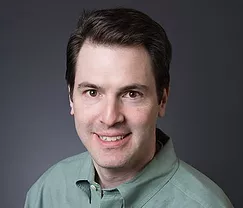 Mr. Shaker holds a Bachelor of Science in Health Sciences from James Madison University and a Master of Science in Information Systems Technology from George Washington University.